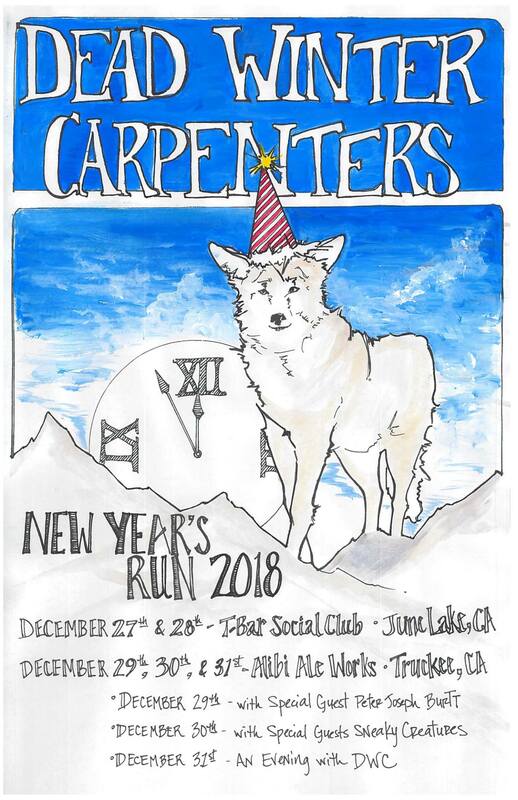 NYE Run in Truckee and June Lake, CA!! We’re thrilled to announce that we’ll be ringing in the New Year with our Truckee/Tahoe home team!! We’ll be joined by special guests Peter Joseph Burtt (solo) on 12/29, Sneaky Creatures on 12/30, and 12/31 will be An Evening with DWC. There will be limited discounted 3-Day passes which include a commemorative show poster. Links to the 3 Day Passes and all show tickets can be found here on our tour dates page on the website.